Carpet Cleaning - Hazelton Cleaning has thousands of satisfied customers over the past 25 years of cleaning. We offer soft, fresh smelling, green, cleaning products that are baby and pet-friendly as well. We have High-Tech powerful steam cleaning truck-mounted equipment to ensure the dirt & grime are removed from dirty stained carpeting - with 100% satisfaction guaranteed. We pre-vac all upholstery prior to cleaning to ensure maximum cleaning results. From hand cleaning to deep steam cleaning we leave it clean & fresh - No matter if it's a chair, ottoman, sofa, sectional, mattress, drapes, even your grandmother's antique pieces; we will take the very best care of your belongings. Carpet Restretching & Repairs - Hazelton cleaning provides the best craftsmanship on all your carpet stretching and repair needs. 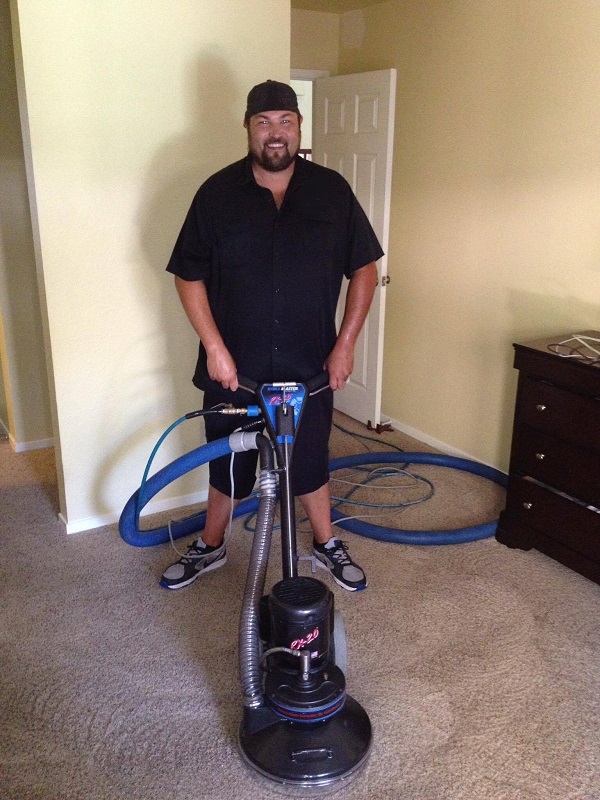 We are equipped to handle the simplest to the most difficult carpet repairs. From power stretching to tucking the carpet back to your filling seamwork, to patches. No matter what it is, we can fix it with a One year guarantee on all jobs. Tile and Grout Cleaning & Sealing - Hazelton Cleaning offers the very best cleaning results. We specialize in restoration of tile and grout, to snap that dirty grout back to looking fresh and new. We use military grade product to achieve excellent results. Quick drying time coupled with a grout penetrating sealer, it will look great for years to come. Flood and Water Extraction - Hazelton cleaning provides water removal services with 24-hour emergency staffing in Fresno, Clovis and the surrounding areas. In the case of water loss from a burst pipe or a leaking roof, we first complete a thorough walk-thru to ensure the best method to minimize property damage to your home or commercial building. we offer blower dehumidifer ozone air scrubber rentals. We can also work with your insurance company to simplify your claims process, mitigate loss, and get you to back to your routine day to day operations.